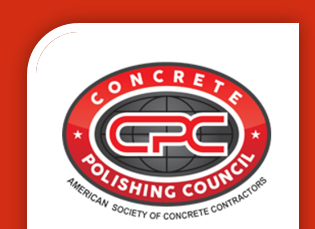 The Decorative Concrete Council, a specialty council of the American Society of Concrete Contractors, St. Louis, Missouri, has announced the winners of its eighth annual Decorative Concrete Awards competition. 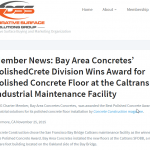 The winners were recognized at a ceremony at the World of Concrete, Las Vegas, on Feb. 2, 2016. The USF Polytechnic 555 Building, Lakeland, Florida, won the WOW! Award, best overall project for Baker Concrete Construction, Ft Lauderdale, Florida. The innovative design in architectural concrete, by Santiago Calatrava and Festina Lente, includes an elliptical-shaped structure highlighted with exposed concrete raker portals. The first architectural concrete constructed were retaining walls with integral concrete seating caps. These walls defined the building’s perimeter from the reflection ponds and total a mile in length. The main building’s architectural concrete began with 142 column portals spaced at eight feet on center in a curving layout, framing the endless hallway and supporting the second story of the building’s perimeter. The shape of these portals required triangular bracing between two columns, using self-consolidating concrete to monolithically pour. After column construction, the second-level elevated beams and slabs were completed and followed by polished concrete ground floor slabs. The two main entrances began with perimeter architectural concrete columns connecting to each of the 16 unique raker portals. These portals support the roof and tie into an oval concrete skylight that illuminates the grand entry polished concrete stairs.